Fish & grill out all summer from your back yard in your own private Gazebo! This meticulously clean water front home has 3 bedrooms, 2 bath that's just minutes from I-70! 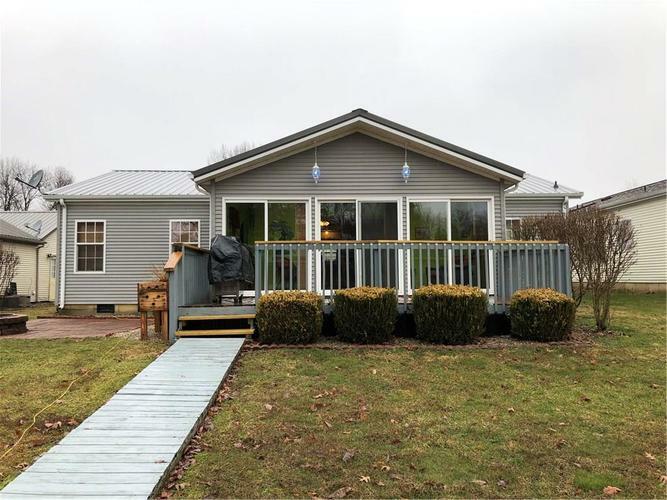 Home has recently been updated with a new metal roof, fresh paint, vinyl plank water proof flooring and carpet throughout. Home features a large master bedroom with walk in closets and a private master bath and garden tub. If the weather isn't just right enjoy your large sun room, and soak in the rays. Refrigerator, stove, and dishwasher will be included in the sale. It's time to buy a new home, all you have to do here is just move right in! Directions:I-70 to US 231. South to Stardust road. Turn left onto Stardust way. Then left on El Conda Drive. Property will be on the right. Look for the RE/MAX Sign.